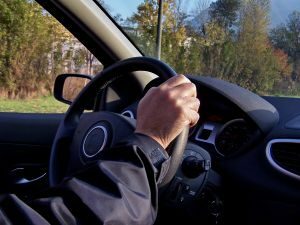 The California Supreme Court in April issued a ruling making it more difficult for companies to classify their workers as independent contractors. The ruling has direct implications for the ballooning “gig economy” of platform workers, spurring many companies – and workers – to seek the advice of qualified employment law firms in Southern California. Given that who work from these online platforms like Uber, Lyft Instacart and others are nontraditional, it may be that the approach to their wage and hour and benefit schema should be non-traditional too: Franchising. This was the theory floated recently in the Indiana Law Review, which published an analysis by a legal scholar and director for the Institute of Law and the Workplace at Chicago-Kent College of Law. She noted firstly most legal discussion about these workers has focused on whether they should be afforded the same protections as employees under current law, while most litigation has centered on whether these companies are misclassifying their workers. Her analysis asserted platform workers don’t fit neatly in either category – and that this could ultimately be irrelevant. While it’s fairly well settled that some of these “workers” won’t ever be considered employees (Airbnb, Task Rabbit, etc. ), others (involving companies like Uber and Lyft) will likely continue to be decided on a case-by-case basis (under provisions of the Restatement (Second) of Agency, where a list of 10 factors for independent contractors) for the time being. A more viable option for both, she argues, could be franchising. Franchisor-franchisee relationship are rife with many of the same power disparities, vulnerabilities and abuse currently existing within platform-service provider relationships. Even if a worker is classified as a “franchisee,” that doesn’t necessarily take the “employee” designation off the table as some courts have held franchisors that control franchisees to a sufficient extent can still be held as “employers” in some cases. Although there are several federal laws that may support this designation for gig economy workers, the professor points out regulatory authority should most likely fall under the purview of the Federal Trade Commission. In fact, the FTC has already given Uber drivers relief under general provisions of the Federal Trade Commission Act. Part of the reason these industries don’t fit neatly into longstanding employment classification models is that they define themselves as what they are not. That is, they aren’t selling “the thing” itself, but rather access to the software, algorithms and digital system of trust with users. In a franchise, one party (franchisee) pays the other (franchisor) for the right to sell franchisor’s product and use its business format, trademarks and more. In turn, the franchisor exerts a great degree of control over franchisee’s operations and commits to providing certain assistance. Most existing franchises are business format (franchisor pays an upfront fee, ongoing royalties and contribute to an advertising fund). Conversely, a platform franchise relationship wouldn’t require the franchisee/ worker to pay a big fee upfront, but they’d still have certain responsibilities to pay royalties (say, a percentage of each ride arranged through the app). If companies do go this route, they’ll have to manage it carefully. Workers need to trust that they will be treated fairly. If you believe your employer has not treated you fairly with regard to wages, breaks or work injury benefits, our Orange County employment law team can help you examine the veracity of your claim.